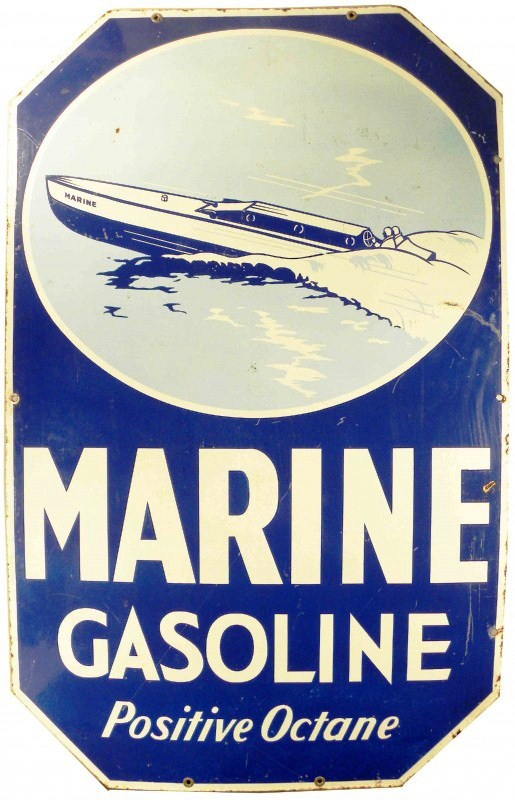 This is a die-cut Marine Gasoline porcelain sign. This particular Marine Gasoline sign is blue with white print. It reads, “Marine Gasoline, Positive Octane” and features a speedboat at the top of the sign.